Zone 7 is a temperate zone characterized by mild winters and hot summers. Temperatures in zone 7b rarely dip as low as 0 degrees in winter. Summer highs in August and September may climb over 100 degrees. Zone 7 for the eastern United States falls into what is known as a transition zone. In this transition zone, cool-season grasses die in summer, and warm-season grasses go dormant in the winter. Lawn owners must cope with these changes to properly care for their lawns. Have your soil tested prior to preparing your lawn for growing grass. Your local county extension office of your state college’s community and continuing education program will accept soil samples for testing by state university soil labs. Your extension agent can tell you where to send your soil and how to collect and package samples. Break up your soil with a rototiller to a depth of 6 inches and spread your amendments on the soil to a depth of 4 inches. Mix your amendments into the soil by passing the rototiller over the soil again. Rake your soil into a proper grade using a garden rake. Your soil should slope away from your home gradually. Select a warm-season sod such as Bermuda or zoycia. Lay sod over your soil in staggered rows. Roll over sod with a sod roller to force roots into contact with the soil. Water your lawn twice daily to keep sod saturated until the roots of the grass become established. Gradually taper off until you water with 1 inch of water every 10 days. Use a rain gauge to determine how much water you are using on your lawn. Mow your grass to 1 ½ inch in the fall. Gouge out furrows in the lawn with a rake and overseed your lawn with a broadcast spreader using cool-season grass such as bluegrass or ryegrass for winter greenery. Spread the grass seed by walking a pattern going in one direction for one pass, and a second, perpendicular path the next pass. 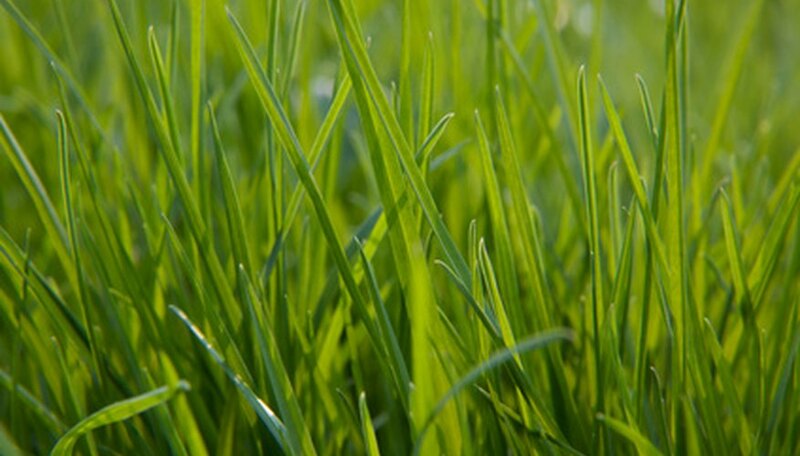 Continue to water and mow your lawn to 1 ½ inch until grass seedlings reach this height. Then gradually raise the deck of your mower. Top dress your lawn each spring with a 2 inch layer of finished compost. Comb the compost into the roots of your grass using a leaf rake. Control weeds using a granulated pre-emergent weed control and fertilizer such as weed and feed. Spread this over your lawn in March . Reapply weed and feed in April. Mow your grass to a height of 2 inches once per week.